The idea of these articles will be to give anglers who already have a good idea of fishing for other species a start at targeting something new and making it easier when you hit the tackle store to streamline what you may actually need to buy and what kind of tackle you already have that will cross over. For me personally, I have spent a lot of time trying to get the Seeto boys to dip their feet into other species and honestly I can’t claim to be an expert on any fish but I do know a little bit about a lot and a lot of the time I work in generalisations to give people the idea of what they need to be doing. I’m sure there are plenty of people out there who know more than me but I’m equally sure that there will be an even larger number who will find a helping hand towards catching something new and thats the whole point of this. Who.Today we start with the Golden Perch AKA Yellowbelly, Callop or simply Yella. Why? Mostly because now is one of the best times for catching them. Most of the Goldens you can expect to catch will be between 40 to 50cm and 1-3kg but like any sportfish there are those places renowned for their big fish and specimens up to 60cm can be found regularly enough. Once they get over the 60cm mark you are certainly into bragging territory. Once they get to these larger sizes they almost become completely dis-morphic. Rather than getting longer they grow upwards and get very fat. The difference between a 45cm fish and a 60cm fish may only be 15cm but the two fish will have very different body shapes. Where. 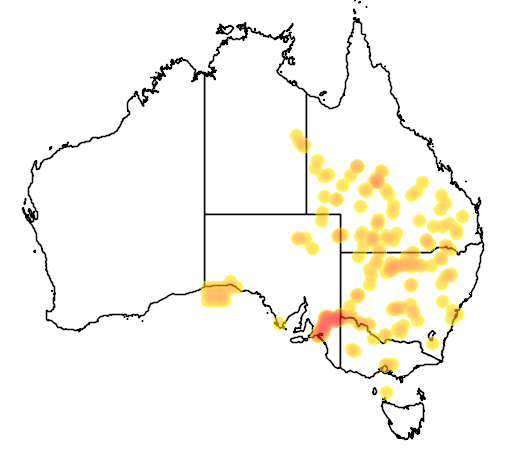 Their natural range is west of the dividing range running with the Murray Darling Basin. Basically, if a river runs to the coast, it will have Bass. If it doesn’t run to the coast and the water isn’t too cold, it should have Yellowbelly. I say “isn’t too cold” because higher altitude waters will probably have Trout and then as it descends down in altitude and warms it will become suitable for Yellowbelly. 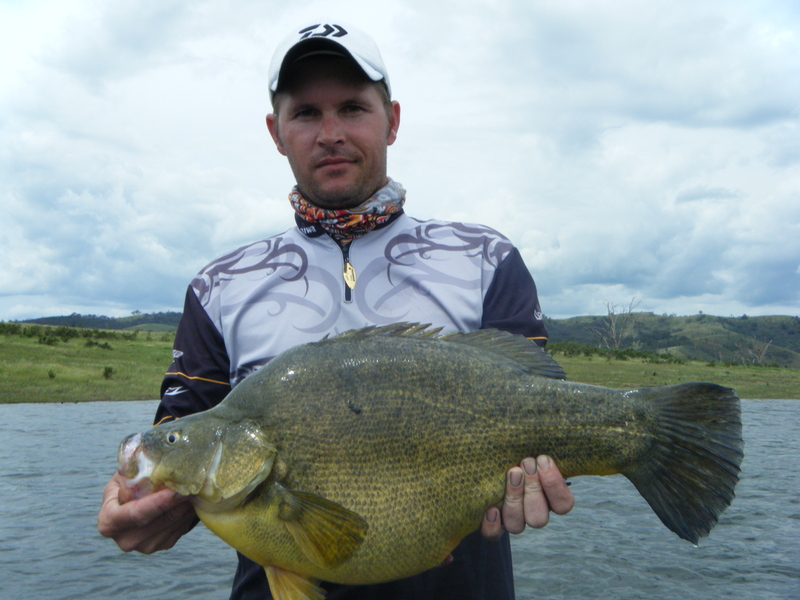 Most sport anglers however will be chasing them in the dams they have been stocked into. Up until a few years ago most Bass dams were sprinkled with a few Yellowbelly and many anglers, myself included, would have caught their first as bycatch chasing Bass. One of my first was actually in Manly Dam which is about 5km from the ocean but as I understand it now the consensus is that they will only stock a species of fish into where they would naturally occur and as such if you want to specifically target Yellas your best bet it to go west. The good news is that this is where the really big ones are too. Top of my list would be Windamere dam near Mudgee with Burrinjuck Dam near Yass coming second mostly beacuase they are the closest to me but if you are keen on the idea of a Yellowbelly search the internet for dams like Blowering, Ryelstone, Lake Hume, Glenlyon and Copeton and see what whets your appetite. I have always found http://www.sweetwaterfishing.com.au/locations.htm to be one of the best starting points when looking for a new species. What. For the most part a lot of Bass gear will be very suitable. Spin rods in the 2-5kg range and baitcasters in the 3-6kg will cover most of it. Obviously this can be beefed up if you are fishing heavy structure. Again for lures the stuff you might usually throw for Bass will fit right in. Spinnerbaits, Lipless Crankbaits, regular Crankbaits and larger T-tailed plastics on 1/4 to 1/2 jigheads will cover most situations on most days. As always there are things like Skirted Jigs that can work well but if you have nothing and you walk into a tackle store before a trip away, a handful of 1/2 ounce spinnerbaits, a few Jackall TN60’s, some shallow and deep Cranks around the 50-80mm length and some Keitech Swing Impact plastics will catch you fish. When. Coming out of winter into the warmer months is the trigger for that breeding state of mind and October and November are premium months on the Yellowbelly calendar as they feed up with the intention of breeding. Also they tend to gather in similar areas and where you find one you will most likely find more. One trick I have been told is that if you catch one smaller one keep fishing close by and if you catch another smaller one, keep fishing as there will probably be a larger female in the area which is why the smaller ones were there in the first place. Another good thing is that you don’t necessarily need to be up before dawn when targeting Yellas as they tend to fish well as the water warms up a little after the sun has risen and you would be better off getting on the water at 9am and staying until dark rather than on the water at 5am and shagged out by 3 in the afternoon. 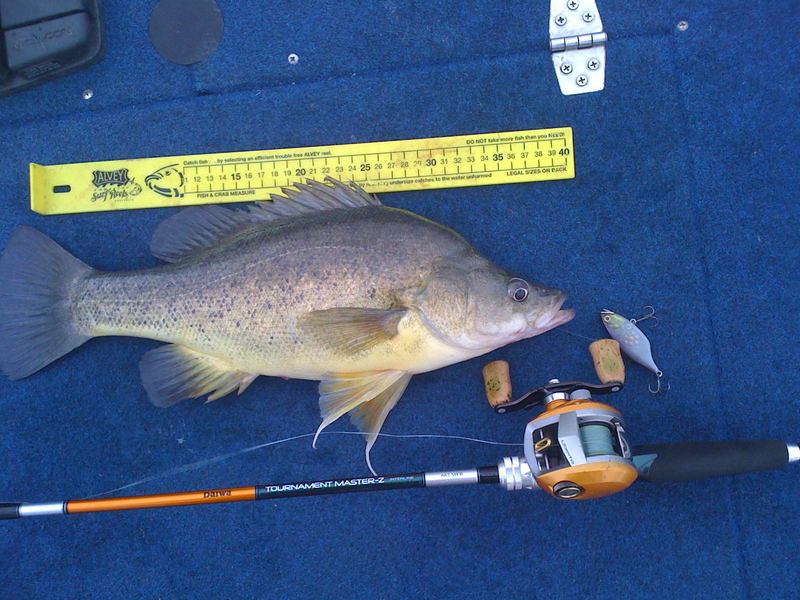 Golden Perch can be caught year round but October and November are nice because winter can be too cold and summer is simply too hot to fish comfortably. How. Now for the big part. You’ve towed the boat or kayak all that way, rigged your rods and bought the right lures. What now? As with all freshwater fishing start with “signs of life” I’ll always turn the boat towards Pelicans or Cormorants as birds that eat fish don’t tend to hang around where there are no fish. Failing that if you pull up on a likely looking bank and there is the occasional flick of a baitfish or carp, you see a turtle come up to breathe, something, any signs that there is life there you are OK. If you pull up and you don’t see or hear anything for a while and the place feels “dead”, move! I like to start with obvious points on a dam or bends in a river. I have tended to do better on shallower banks and points for Yellowbelly as the water will be a bit warmer coming out of the winter cold at the times I have targeted them specifically. As with most species, the windward side will nearly always fish better as the food chain tends get pushed in that direction. Timber can be a matter of much debate but the best bit of advice I ever got was that timber alone does not mean fish and look for something to go with the timber i.e. look for timber on a point or a rocky bank rather than just a huge flat with standing timber in the middle of nowhere. Weedbeds are also great areas to look but don’t only fish the outside as there can be fish in the shallow side of the weedbed and plenty of fish get caught parking the boat and walking the bank casting the inside of the weed. 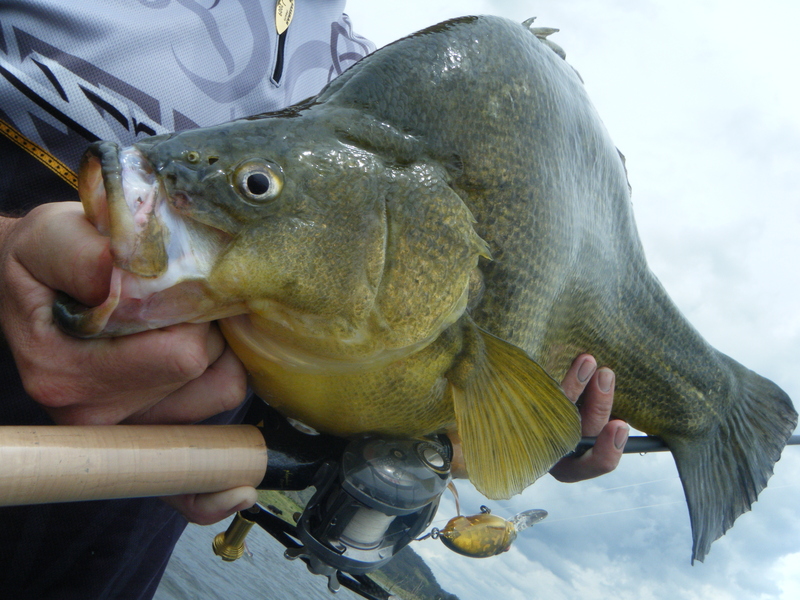 Golden Perch need flowing water to spawn and during that October / November period if there is rain the fish can stack up in front of anywhere water is flowing into a dam. Even a moderate trickle can have eager fish trying to swim up it or schooled up right in front of it. Find conditions like this and you are probably in for the session of a lifetime. 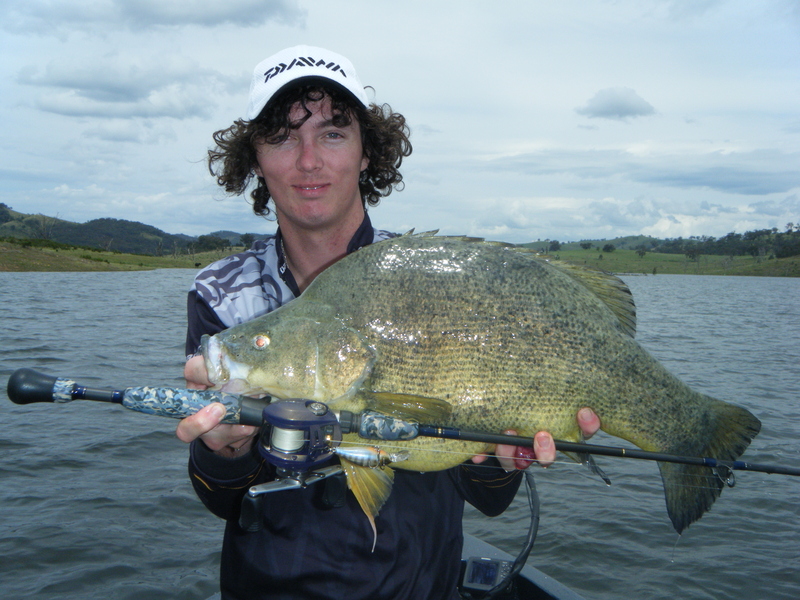 All in all, Golden Perch may not seem like a blue ribbon sportfish compared to Bream, Bass or Barra but they are a hell of a lot of fun to target specifically and catching a big one is certainly something you will remember. solid advice there! Any tips for fishing around trees in the deep? I tend to find that the yellas leave the banks when the sun gets too high in the sky. I can see them on the sounder schooled around the trees but can’t seem to ever catch them. I’ve heard of people slow rolling jackalls vertically or slowly lifting soft plastics and letting them drop repeatedly until they get a strike. Interested to hear your personal experience though, that ability to catch fish like this can definitely improve your chances in a comp!